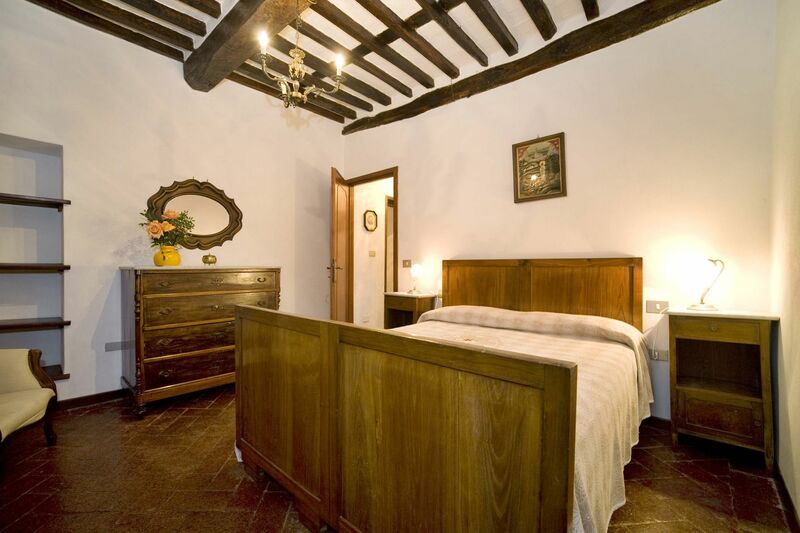 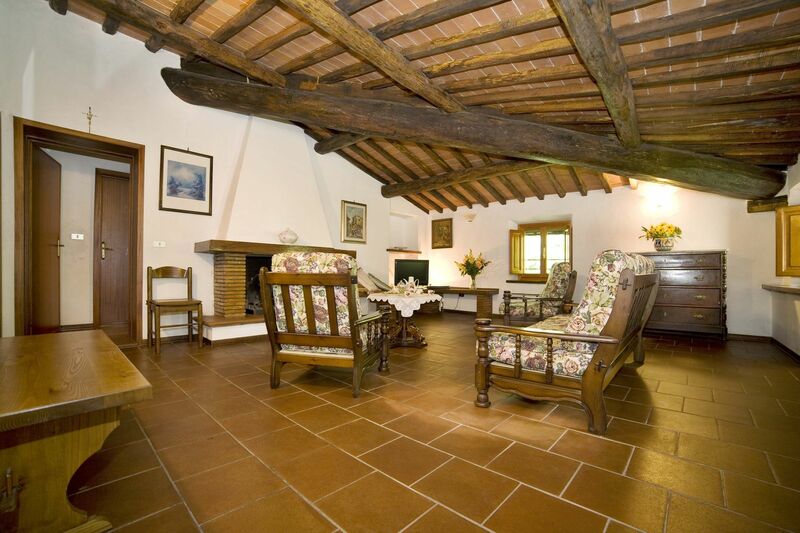 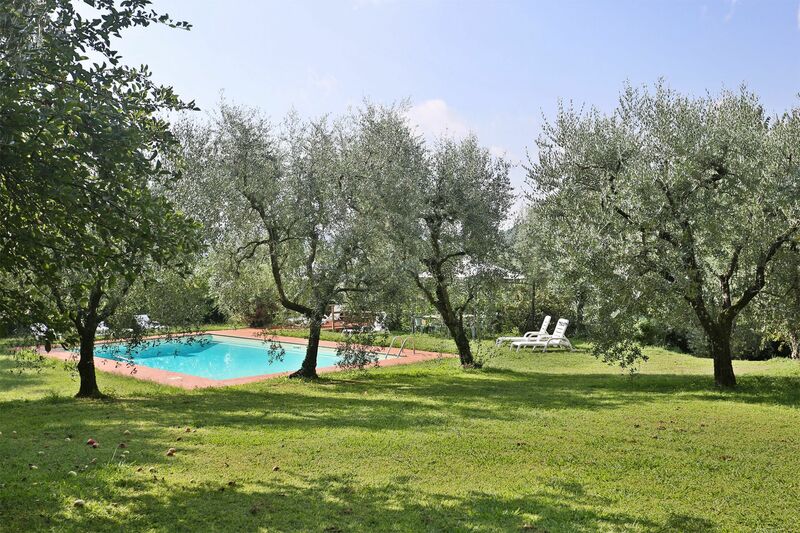 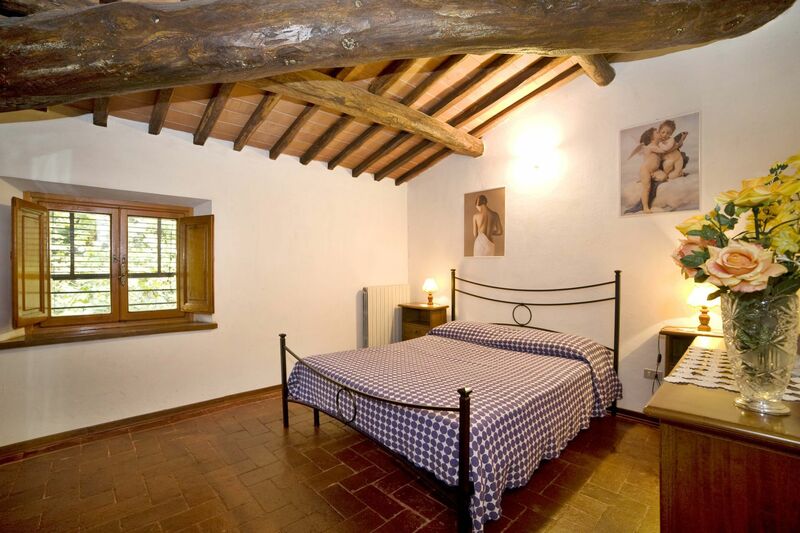 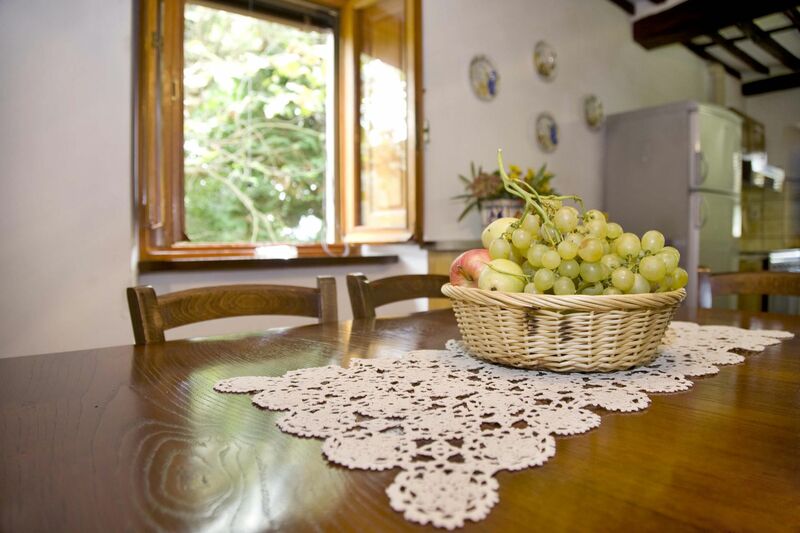 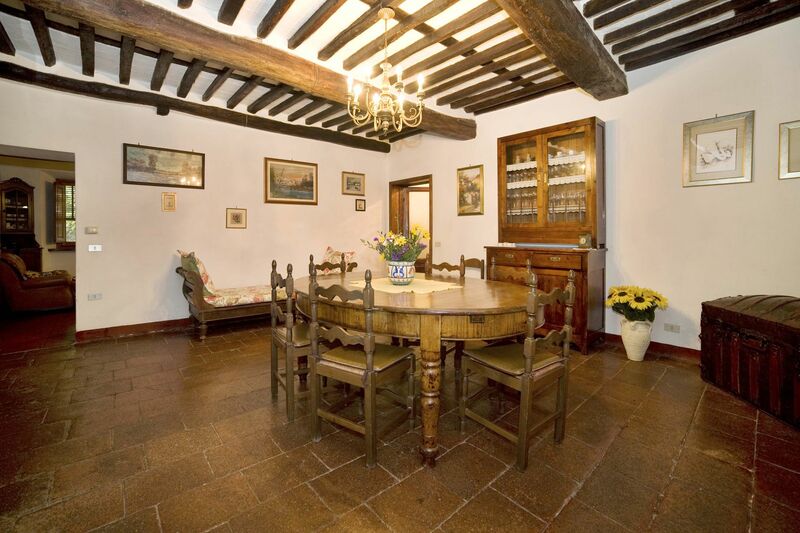 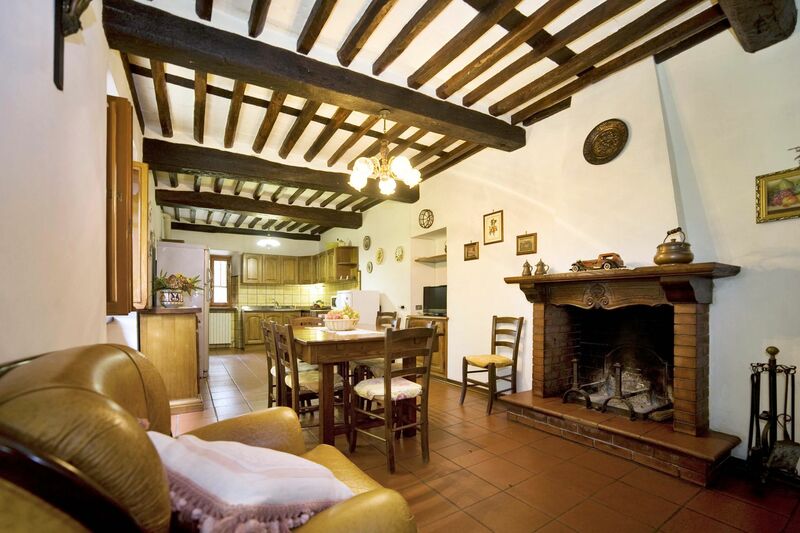 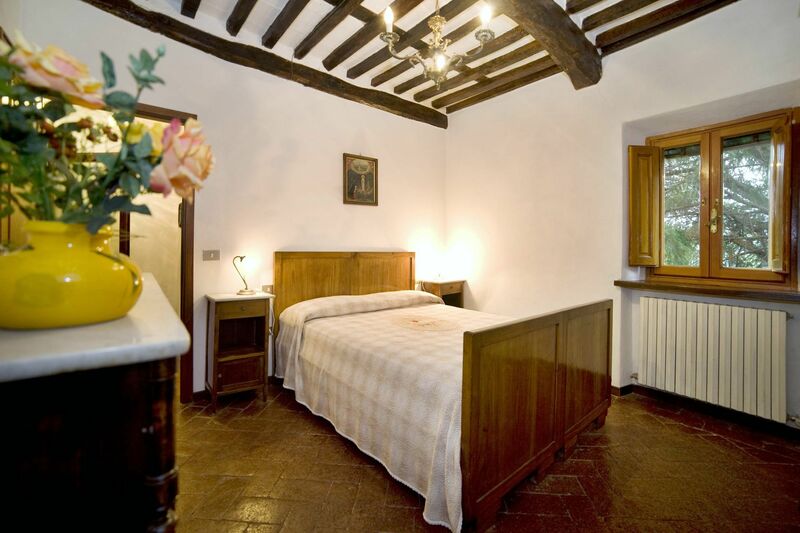 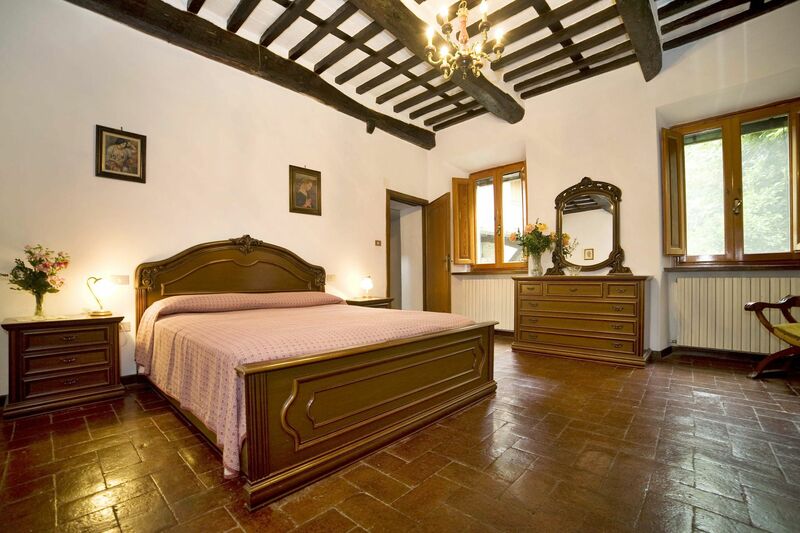 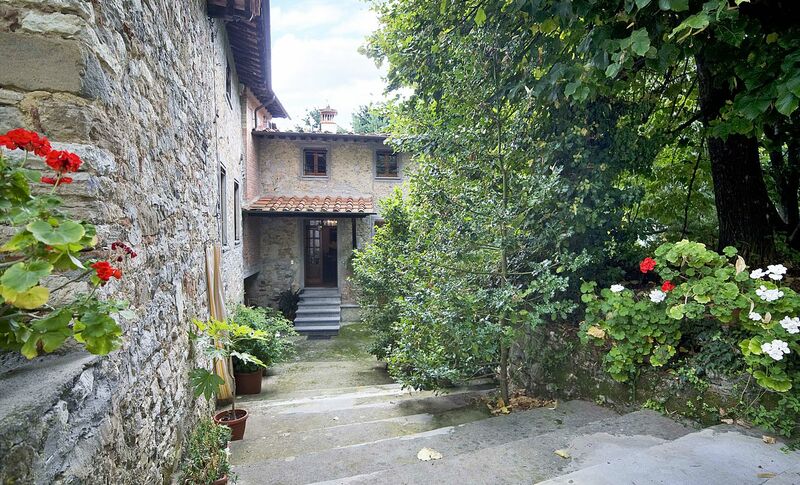 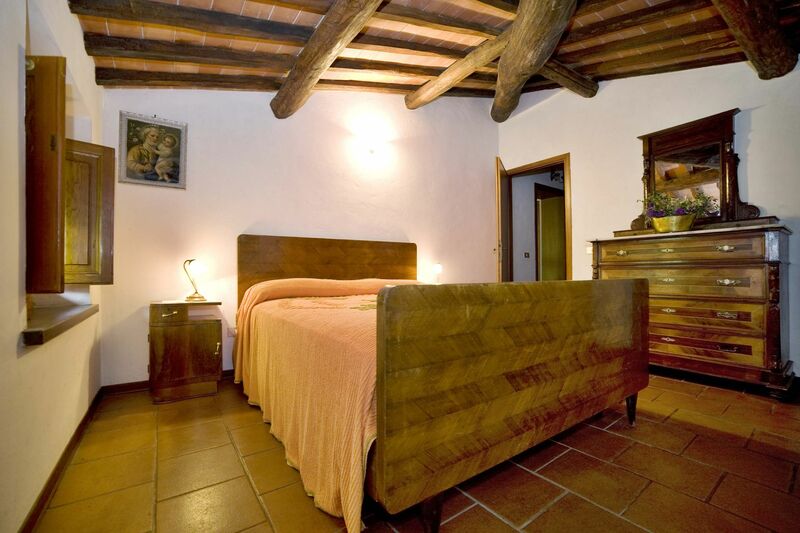 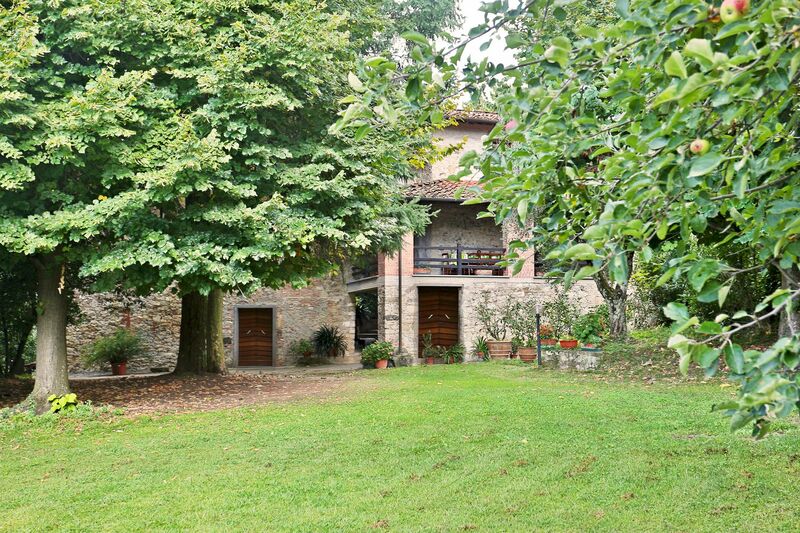 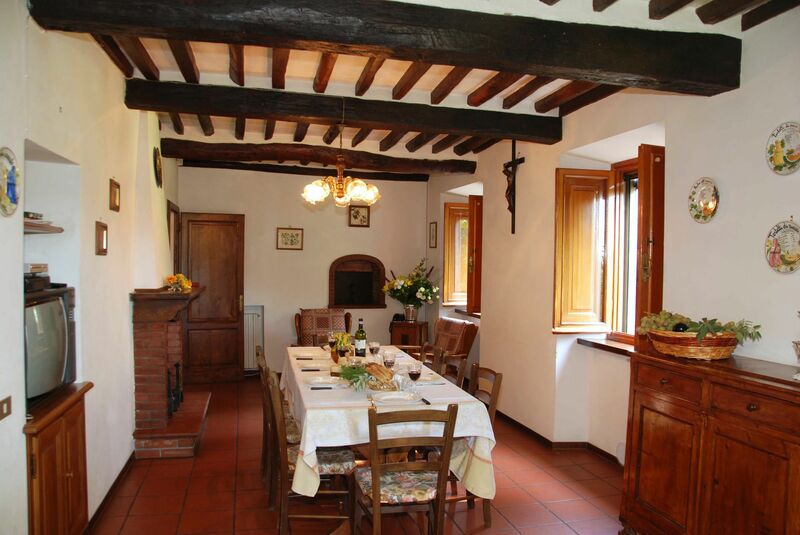 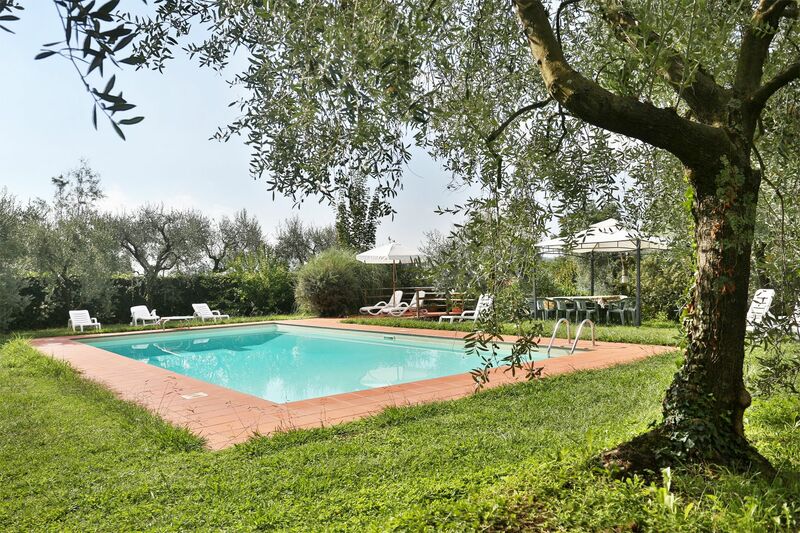 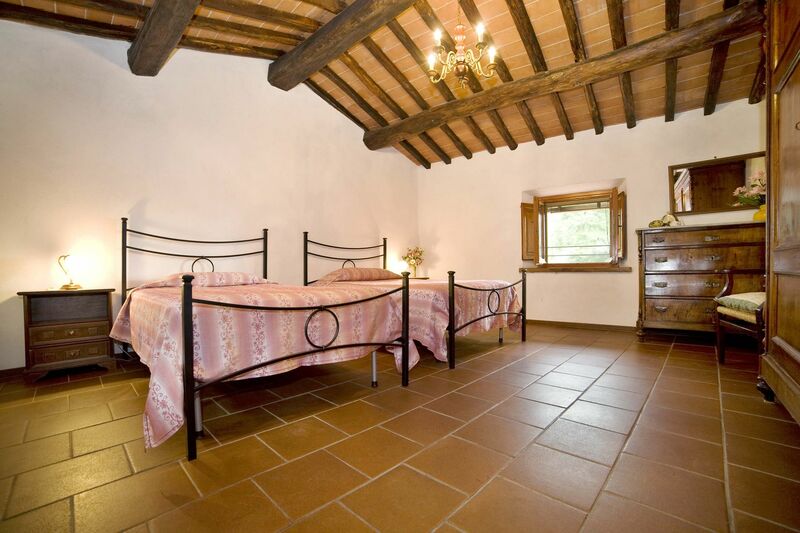 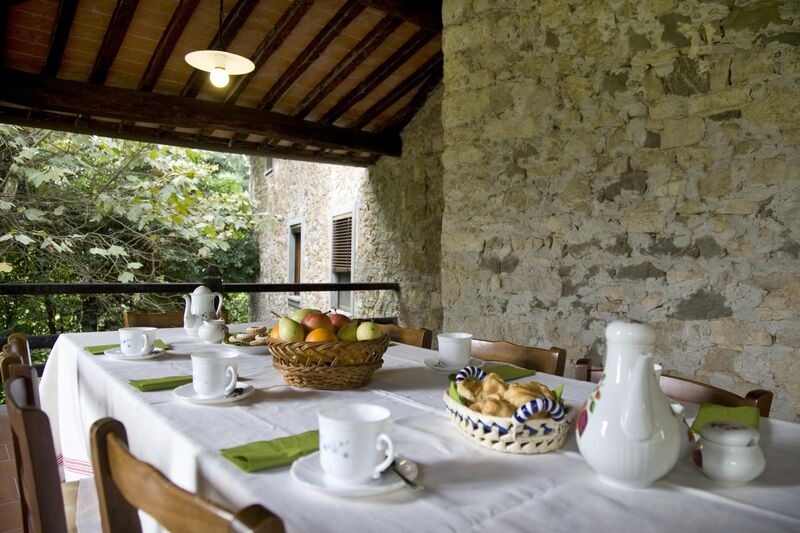 This farmhouse has been immaculately converted and is in a very peaceful position in the hills between Lucca and the Versilian coast, one kilometre from the medieval village of Loppeglia. 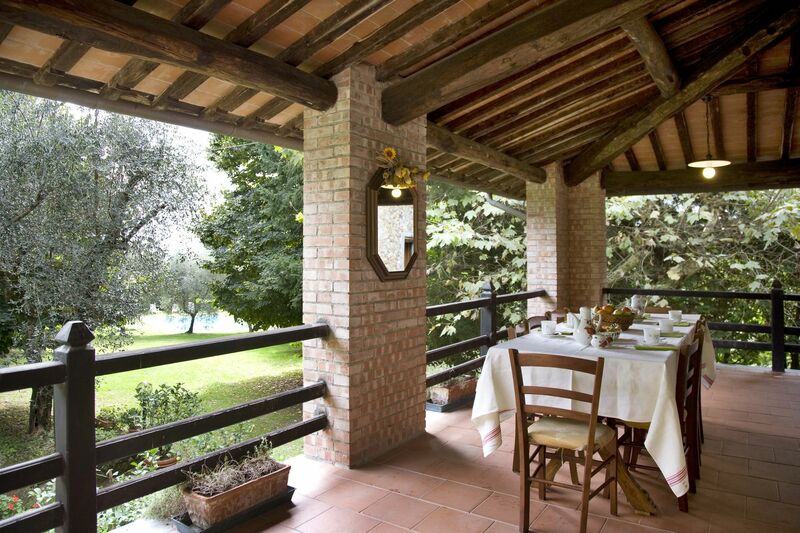 From the large verandah, the colorful garden and the pool area there are beautiful views of the valley below. 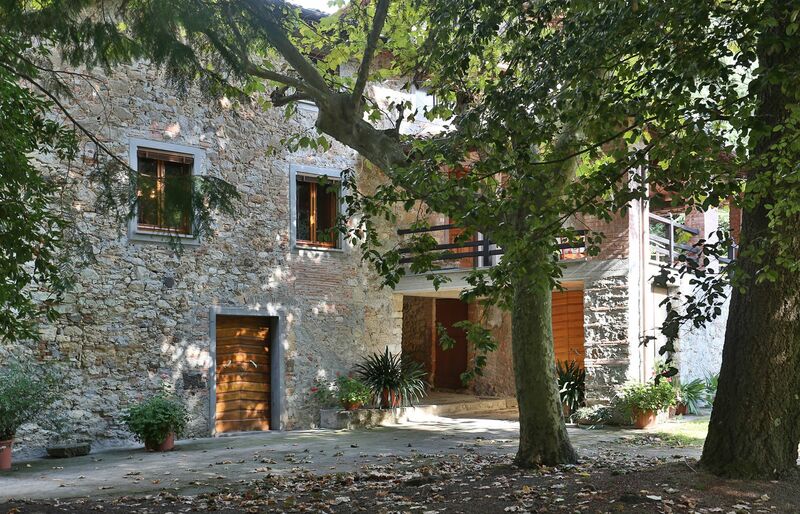 The house has been converted in a way which makes it possible for two families and groups to share it and remain independent. 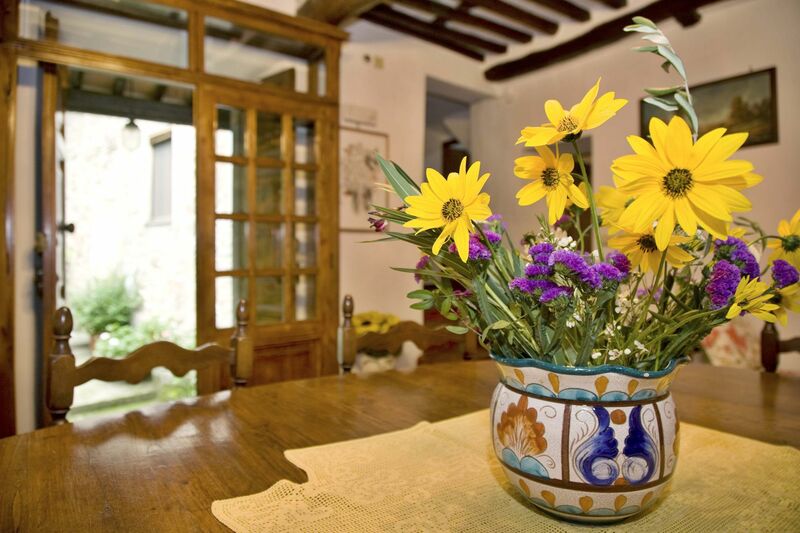 The first and second floors can be divided into two parts by closing just one door. 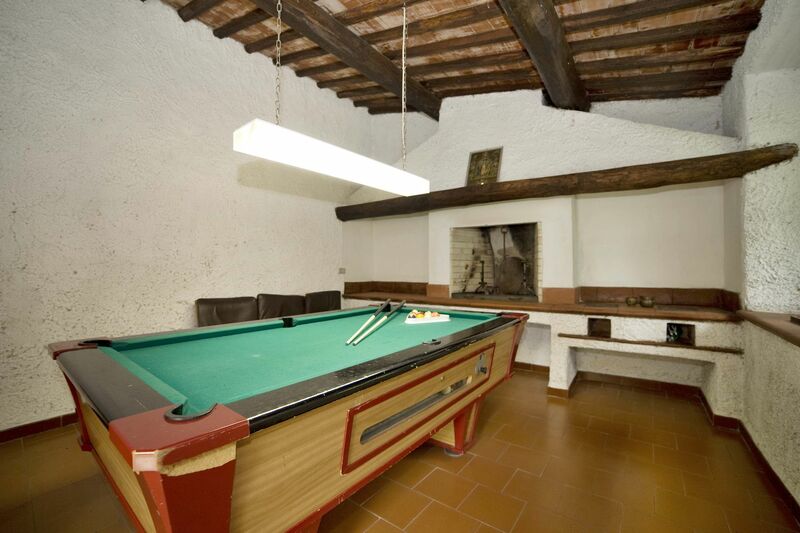 In separate rooms there is a small billiard table and a wood oven. 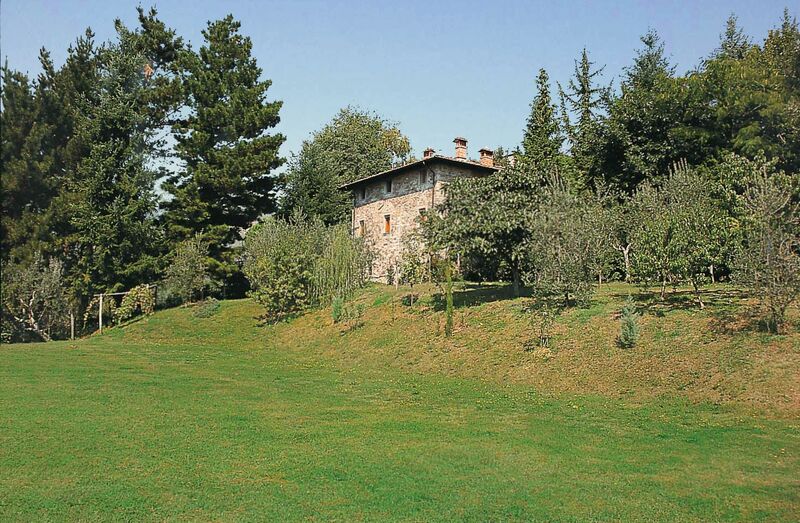 The very well-kept garden, rich with flowers and plants typical of the area, is completely fenced, making it ideal for families with young children. 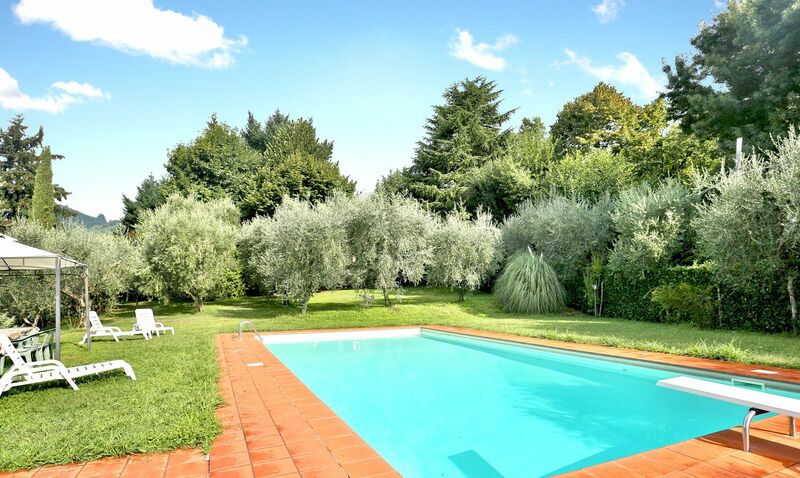 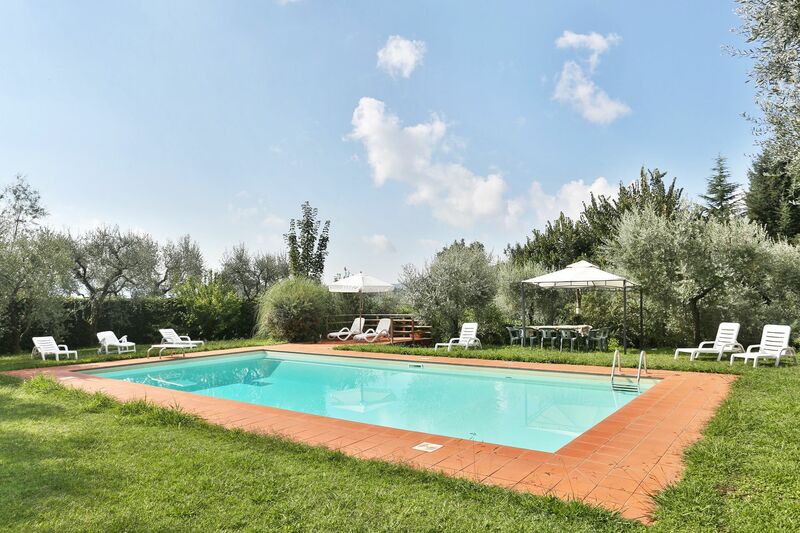 The large swimming pool is located in a panoramic position in the centre of the flat lawn. 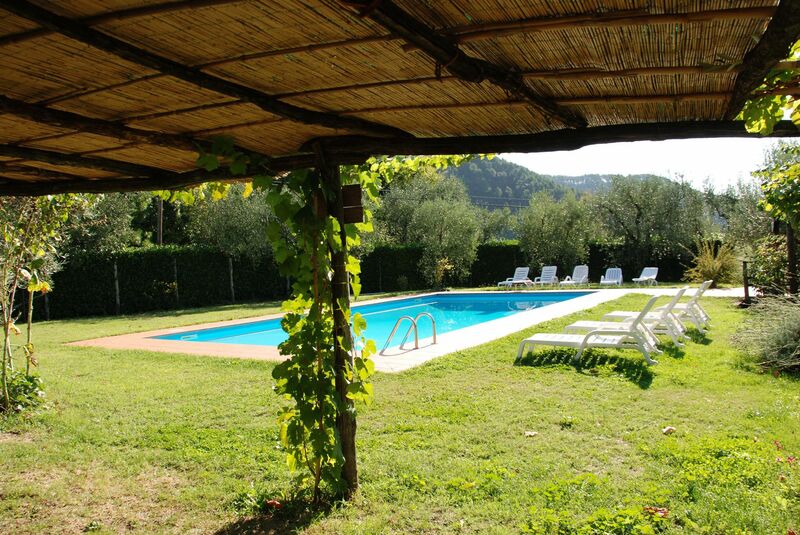 A shower and bathroom facilities have also been installed in the pool area. 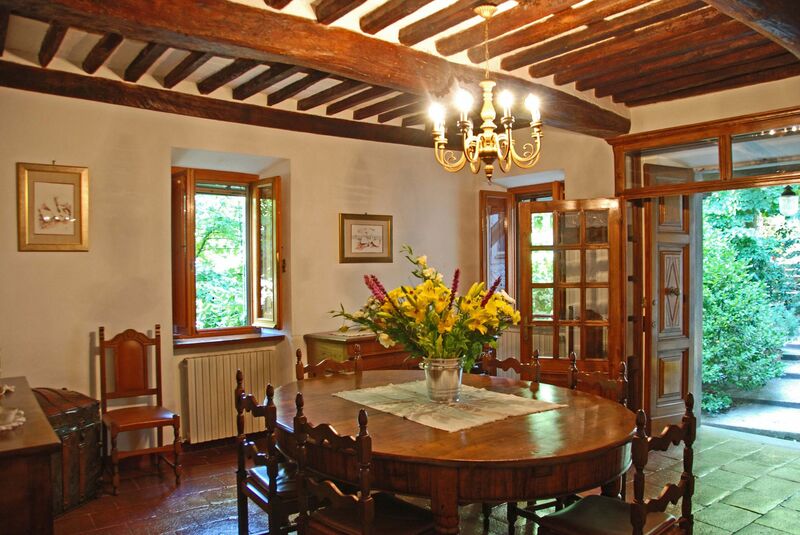 Dining room; kitchen; 2 double bedrooms; bathroom (shower). 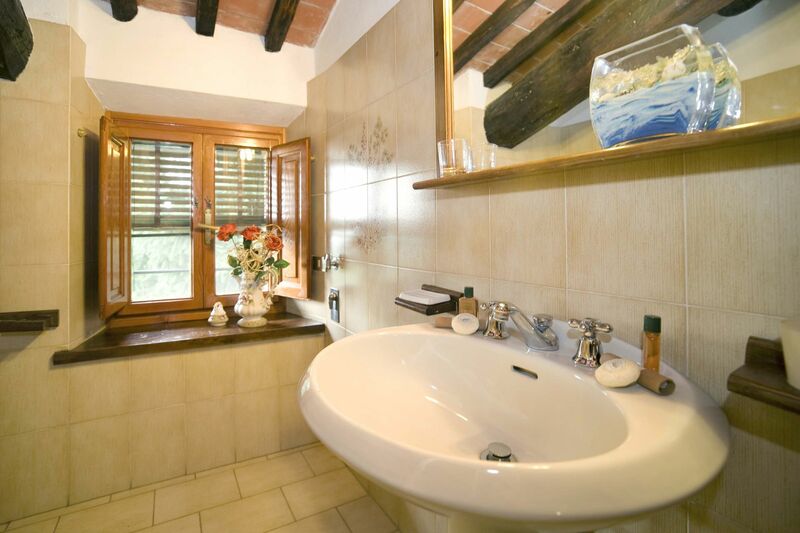 Sitting room; double bedroom with en-suite bathroom (shower); twin bedroom; bedroom with French bed; bathroom (shower), large veranda with outdoor dining and foosball table, billiard room.